Shane Lowry has shown only glimpses of his huge potential in the US so far this year. Picture: Fran Caffrey/www.golffile.ieShane Lowry dismissed his Accenture Match Play win over world No 1 Rory McIlroy and insisted he must put the blinkers on if he’s to move up to the next level and show the world how he can really play. The Clara star will have another chance to send his career rocketing into US orbit when he plays on a sponsor’s invite alongside McIlroy in next week’s Shell Houston Open on the PGA Tour. But as he announced details of a new sponsorship deal with Dublin-based financial spread trading firm Shelbourne Markets, Lowry explained that he will only reap the dividends by putting his head down and getting back to basics. Lowry said: “I don’t feel I played well over there at all. Obviously I’d a great time in the States and I love it over there, but I wasn’t too happy when I came home. I almost feel like I’ve been getting a lot of pats on the back for not doing much. Shane Lowry signed a new sponsorship deal with Shelbourne Markets this week. 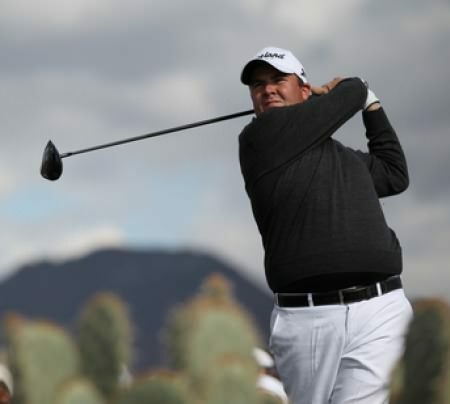 Picture Justin FarrellyLowry went to the US hoping to blast his way into the world’s top 50 and qualify for the Masters but admits he was probably “psyched out” by more experienced stablemate Graeme McDowell in the third round in Tucson. In the end his US trip fizzled out somewhat when he failed to qualify for the Honda Classic and then missed the cut comfortably in the Puerto Rico Open. He has unfinished business but his first objective is simply to play his own game, improve his iron play and let the world rankings look after themselves. While he can still make the top 50 and qualify for the Masters with a big week in Houston, the world No 67 has decided to put the world rankings out of his mind and concentrate on simply doing things the Shane Lowry way. Convinced he has the ingredients to make it Stateside, Lowry said: “The way I play, I worry about my next game of golf, which is tomorrow with the lads as opposed to trying to set goals and getting into the top-50 and specific things. “It’s hard not to try too hard when you’re so close and trying to get there. “If you look back over the last few years, I tried too hard at first to make cuts, didn’t make them and then learned how to do it. Making the world’s top 50 would make the American Dream and the game’s biggest events a reality for the two-time European Tour winner. But Lowry is prepared to be patient, insisting: “Hopefully, I can get in there at some stage yet I’m trying not think about it. I’ve actually banned myself from looking at the world rankings. Lowry’s short game is possibly his greatest asset. Picture: Justin Farrelly“I don’t even know where I am in the world at the minute. I’ve spent the last five months since I won in Portugal looking at them. Every Monday morning at nine o’clock – I mean, what’s the point. “I’m back to the Shane Lowry way. Go and play my golf and see where I end up on Sunday evening. Losing to McDowell in the third round in Arizona was a wake up call for Lowry, who realised that there is still work to be done before he is playing at the required level to make the move to the US on automatic pilot. “Graeme was quite tough to play against,” he explained. “I think he psyched me out a bit. He’s obviously a great match player and knows what he’s doing. He won the battle that day. “I’m very good friends with Graeme … there wasn’t any chat at all. It took me by surprise because the first couple of days, there was chat for the first couple of holes and then obviously you’d get down to the business end of things. The early season schedule on the European Tour is a poor one for players ranked outside the top 50 in the world and while Lowry is attracted by the US, he is not turning his back on the his home tour. Shane Lowry won’t look at the world rankings but he took a keen interest in the markets when CEO Enrique Curran showed him the inner workings of Shelbourne Markets on Thursday morning. Picture: Justin Farrelly.“I’m not dissing the European Tour and I’m not saying I don’t want to play on the European Tour – I love playing in Europe and that’s where all my friends are. “I just think the US Tour, the ranking points are better, which is huge. Obviously the money’s better over there. The way of life over there is almost easier, the travelling and all that sort of stuff. “The main thing is it actually suits my game over there and I really want to give it a shot. Obviously, I’ve got a couple of invites and have to do well. Lowry can secure his place in the Valero Texas Open the week before Augusta with a top-10 finish in Houston but he has already lined up another sponsor’s invite for the Zurich Classic of New Orleans. “I met (my caddie) Dermot (Byrne) for breakfast today and this year has been so stop-start it’s just annoying. But that’s the way it’s had to be with the invites. “Like, I’m playing next week. Don’t know whether I’m playing the following week or not. Obviously if I’ve a top-10 in Houston, I will be so that’s up to myself. That’s the way it’s been for most of the year. But after next week, depending on what I do, my schedule is lined-out for me. Rory McIlroy gets a close up look at Shane Lowry’s short game during their first round match in the Accenture Match Play in Tucson. Picture: Fran Caffrey / www.golffile.ie“If I don’t get in the Masters I’m playing the Spanish Open; back for the Zurich Classic followed by the Volvo Match Play and Wentworth. “I’m really looking forward to the summer. It’s quite exciting. If I get into the US Open it’s going to be a great schedule because I’ve got Irish Open, French Open Scottish Open, British Open, the Bridgestone Invitational, the US PGA, all of them massive tournaments. That’s where I feel I can perform my best. Lightly raced so far this year - he’s played just five events in 10 weeks - Lowry is keeping his fingers crossed that he will be fresher for the meat of the season. A big summer could make the top 50 a formality for the Clara man but he knows he has to stick to the mantra he made his own before Christmas and simply play golf and let the rankings look after themselves. Still, the world’s top 50 has a siren call that’s hard to resist. For now it’s back to playing the Shane Lowry way. Hit the ball, find it and hit it again. If the sums add up, Lowry knows he’ll be near the top of the class before long. Shane Lowry, pictured here during his match with Rory McIlroy in Tucson, would love to play more on the PGA Tour. Photo: Fran Caffrey / www.golffile.ieShane Lowry wants to build on the impact he made at last week’s WGC-Accenture Match Play and concentrate on establishing a foothold on the PGA Tour over the next 10 weeks. Shane Lowry will be in Houston at the end of the month. Pictured during a shoot for clothing sponsors Kartel in Abu Dhabi by Fran Caffrey/www.golffile.ieShane Lowry will get another chance to prove himself on the PGA Tour when he tees it up on a sponsor’s exemption in this month’s Shell Houston Open. Shane Lowry beat Rory McIlroy in the WGC-Accenture Match Play in their last meeting. Picture © Fran Caffrey / www.golffile.ieRory McIlroy and Shane Lowry will get the Irish Open off to a rock ‘n roll start at Carton House tomorrow. Shane Lowry shakes hands with Rory McIlroy after the second round of the Irish Open at Carton House. Picture: Fran Caffrey / www.golffile.ieShane Lowry insists that he’s still pals with former stablemate Rory McIlroy despite the Holywood star’s decision to ditch Horizon Sports Management and sue manager Conor Ridge.